If you have a hard time wrapping your mind around what rising seas could mean for South Florida, you're not alone. Turns out, the human brain is not naturally good at processing risks that seem far off. That's according to scientists and planners from multiple regional, national and international agencies who say South Florida could experience two feet of sea-level rise by 2060 and six feet by 2100. That amount of sea-level rise would not only cause flooding that would wreak havoc on homes, roads and drinking water supplies; it could lead to a financial catastrophe for a region whose economy is based largely on real estate and tourism. 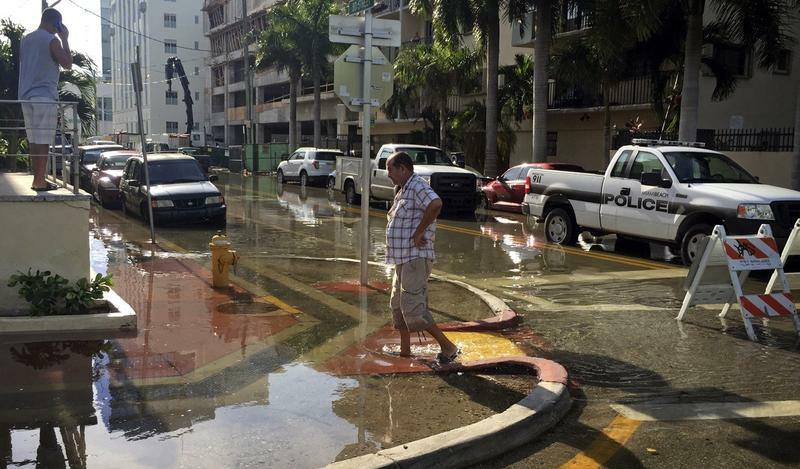 Yet compared with problems like traffic and the high cost of living in South Florida, sea-level rise may not feel like a particularly urgent threat -- especially in communities that don't currently experience flooding during king tides or after rainstorms. University of Connecticut researcher Galen Treuer says one challenge to confronting sea-level rise is human nature. He spoke with WLRN’s Kate Stein about how human psychology makes it hard to get our minds around the threat. Galen Treuer, a researcher at the University of Connecticut, explains why human psychology makes it hard to get our heads around sea-level rise. Treuer: As humans, we do a lot of learning through experience. The challenge with sea-level rise is we have not experienced that in South Florida, despite a lot of good talk and good planning. There's been limited action to help make the future impacts of sea level rise present for the residents of South Florida. So it's not particularly present in their lives and they have other issues that are very important: affordable housing or housing affordability, even for the middle class. Transportation -- which does intersect with sea level rise, but it's not obvious that sea level rise is going to make transportation even worse. 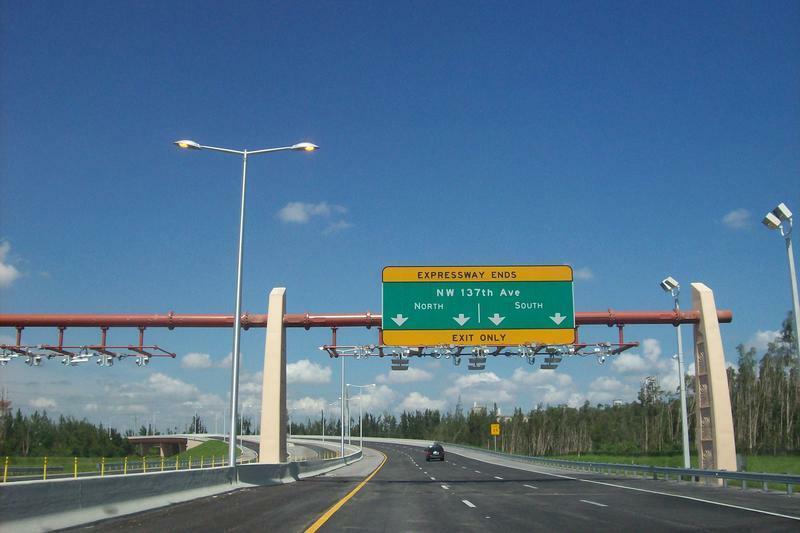 Those are the things that seem to motivate politicians more and they motivate residents more. WLRN: Tell me about your research. I'm working off of that idea that experience is really important for learning and important for motivating people to even learn about sea-level rise. We did a study of homeowners in South Florida where we put them in an online simulation. You click on the link and the link says for the next 20 minutes, imagine that you are yourself, but you're going to be accelerated into the future so that you can experience the impacts of sea-level rise. And we had news articles and we had scientific reports that we created. These were things that you created as if they were in future news reports? Like a report from 2020, or something? Yes. And they [the study participants] went through that and were able to click on as many pieces of information and gather as much information as they wanted so we could track their engagement. What we found is that the thing that looks like it gets people engaged is a threat to themselves or a threat or something that really affects their identity. So individuals who care a lot about the environment or about the Everglades are definitely motivated to act on sea-level rise. 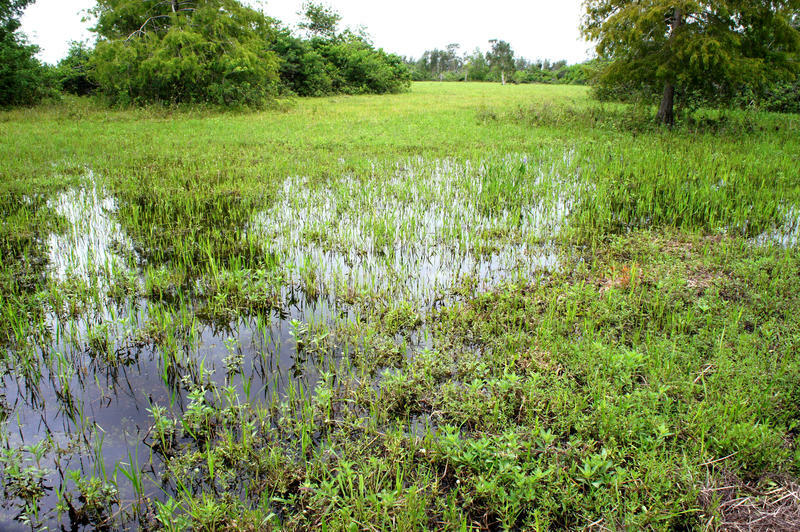 These are some of the most active individuals because they see that the Everglades is only a couple feet above sea level and that environment will change very soon. And then in our research for the people who weren't motivated by those kind of external issues, they were motivated by the cost by making that connection that if they didn't deal with it, or really, if as a society we didn't deal with sea-level rise, and we continued to invest and vulnerable real estate and or build cities in ways that would be vulnerable to sea-level rise, it would mean higher taxes and it would mean a lower quality of life. You studied for a while in the Netherlands. 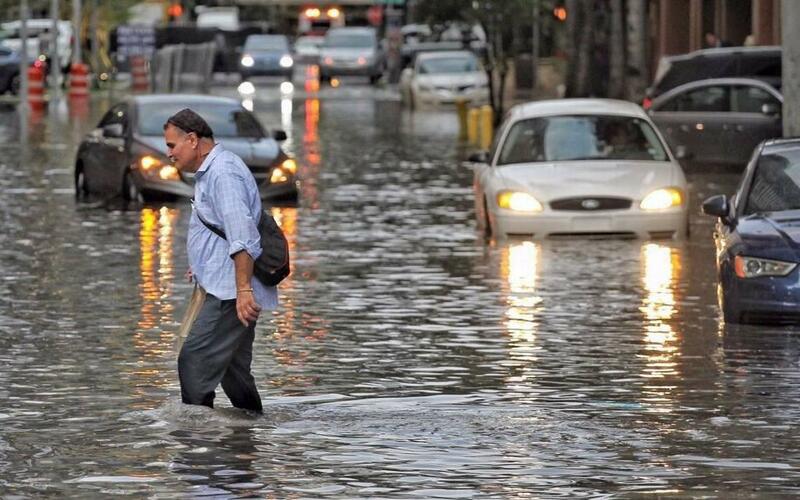 How does the thinking on sea-level rise there compare to what you're seeing in South Florida? In the Netherlands, they do not doubt that they need to do something about it. And that comes from their history of flooding and from the fact that they've been able to really control their environment. That political unity just doesn't exist in South Florida. The other thing that they have is money. 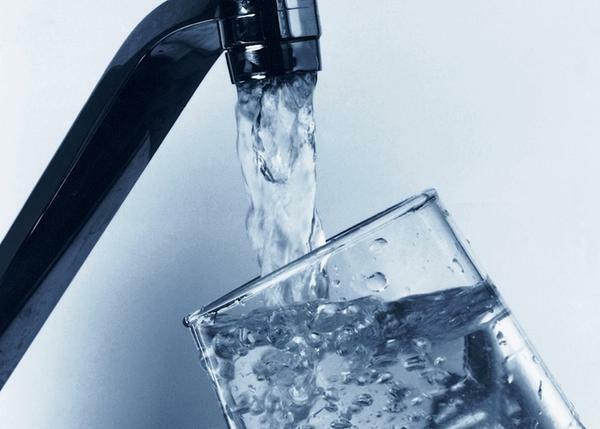 They have a dedicated fund — hundreds of euros per individual dedicated to water management. And that means that they have a bunch of money that they can spend. Interestingly, in South Florida, we have a mechanism for doing that in the South Florida Water Management District. It has taxing authority but there hasn't been a political will to raise rates or use that taxing mechanism as a way to really invest in the community. And that's one thing that I see as a possibility for the region, that there is at least the political institution that exists that could do regional response. They're talking with the Dutch. You work in Connecticut now. But you did live in Miami when you were doing this research on how hard it can be to get people to think about sea level rise or take action on it. Was that experience depressing? Working in climate can be depressing. I got to Miami, and I think the first couple of years were kind of depressing. I was excited by the impacts that were happening, and the action that seemed to be going on and the talk that was going on. But you go through these cycles where you see that the support is building, but it never quite crests. And then I saw all of this development ramping up, and that was a little depressing. But I got to a place where, as I talked to people, and I heard how excited they were about living in this place, and I saw why they wanted to be there, I had to accept the fact that once they were aware of it, they were going to take action. You have to get over it, honestly. I think you have to have a sense of humor about it. 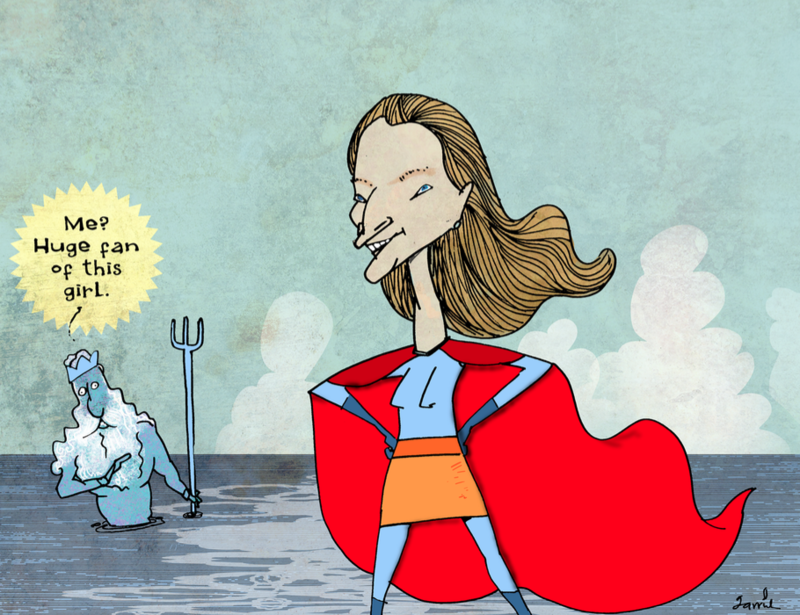 Want to help shape the future of WLRN's sea-level rise and climate reporting? Let us know what you want to learn by taking this survey. This interview is part of The Invading Sea, an editorial collaboration among The Miami Herald, The Sun-Sentinel and The Palm Beach Post, with reporting from WLRN, on the growing threat of sea level rise to South Florida. You can find more coverage at theinvadingsea.com. 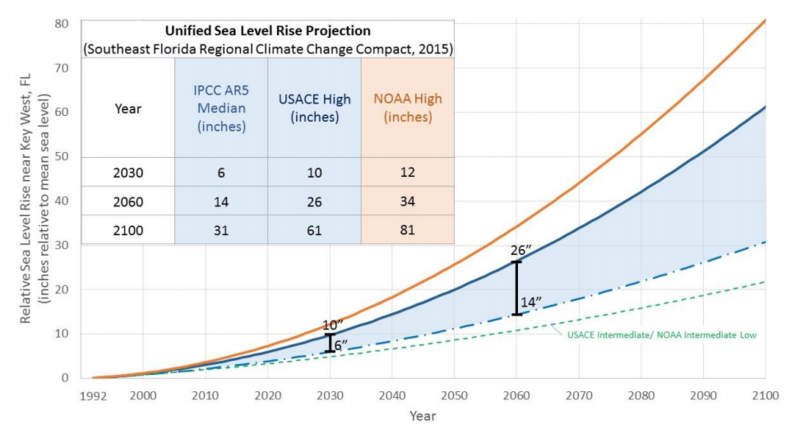 Broward, Miami-Dade, Monroe and Palm Beach counties used data from national and international agencies (the U.S. Army Corps of Engineers, the National Oceanic and Atmospheric Administration, the UN Intergovernmental Panel on Climate Change) to come up with their joint sea-level rise projection. Planners from the four counties typically use the "two feet by 2060" benchmark, but some experts say South Florida could see more sea-level rise than that in the next 40 years. In certain circles, people from the Netherlands inevitably get asked about sea level rise. It's because for hundreds of years the country has had to keep out seawater and prevent flooding from its numerous rivers.